Tanisha had tried everything from having a personal trainer to diet pills. 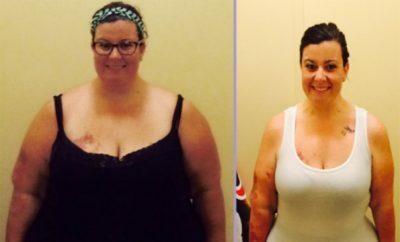 Nothing was a long lasting change until she surrounded herself with positivity and used Calorie Count’s tools to take control. 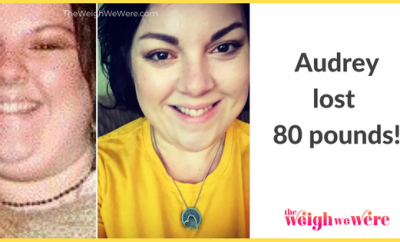 She’s lost 60 pounds and although she’s not yet at her goal, Tanisha (AKA successweight_shanee) recognizes the importance of being the healthiest version of yourself, no matter your weight. On the night of October 15th, I stepped on the scale and it stated I was OL = over the limit. I cried and almost became depressed, but once I realized what this meant, I made the change – that night. No turning back. 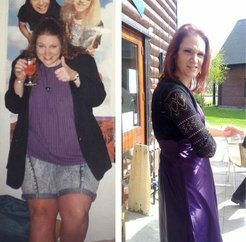 I took various diet pills – Stacker 2, Green Coffee Beans, Green Tea, Alli, Phentermine, and Slim Quick. When I was younger (in my teenage years), I tried the Slim Fast diet. In 2008, I did eDiets. 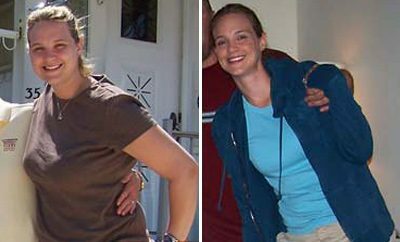 I had a personal trainer in 2007 for three months and lost 50 pounds in 3 months. I did a lot of things, but it was never a healthy combination of eating properly and exercising. Also, I did Weight Watchers in the past, and drunk shakes 2 times a day under the doctor’s orders. First, I surrounded myself with positive things – food, drinks, and people. If you come to my house, there are no unhealthy items in my household at all. When I go out, I am prepared with my meals and snacks, especially if I do not know when I will be back home. I do count calories, but I focus on my sugar and sodium intake since my family is prone to these common diseases. I love to dance, and many times my workouts consisted of dancing – zumba. Additionally, I walk a lot and do various at home exercises because I hate the gym. The most important change I’ve made overall was my mindset about eating and living. I no longer accept the excuses I used to tell myself. I am realistic about my goals, what I eat, and how I function daily – changing my mentality was the biggest change overall. Calorie Count was instrumental because it provided me with the ability to take control of myself. Counting calories is the easiest method for me especially since I cook most times. When I do find myself in rare situations of eating out, understanding what I am taking in is very significant in my continued success. Life! Sometimes life throws us curve balls that are meant to set us back, but I could not lose focus. For example, days before New Years, someone broke into my home. This was an emotional situation for me because I could not dance for a few weeks, and I did not sleep because I feared the people would come back. But, I kept my goal in mind, and for a month and half I was able to maintain without gaining weight. It felt good because in the past, I would find that to be the excuse for me to eat unhealthily. I started to see results maybe two months after I started. I realized that I was a success when others were coming to me for guidance. I started the Healthy Living Challenge at my job, and my students rely on me to their coach as they seek to become healthier. Preventing relapse is very difficult, but I keep a positive mindset. I know this is what I want. I want this for the right reasons. No, I am not looking to be skinny, but I want to be healthy, and keeping that in mind helps me in pushing through the challenges I face. My life is great. I am able to do simple things without thinking or feeling winded. I jog up the subway steps everyday, and I bypass very slim people who are struggling to just walk up the stairs. This makes me realize that although I am not at 100 pounds off YET, that I am very capable of being a healthier ME. I am not maintaining because I am still losing, but I am happy to say that I have not had any major set backs like gaining 10 pounds or anything. I was able to maintain for a month and a half, but other than that, I only see healthy in my future. 1. Prepare your meals. People think logging their food and drinks is difficult, but if you prepare your meals this makes it easier for you. 2. Keep a positive attitude. Some days you are going to feel you have no purpose, but the reality is you control the thoughts in your head. If you want this, claim it! 3. Take ownership of your actions. Some people cheat, and dwell on it; therefore, they continue with the bad habits instead of taking responsibility for their actions and moving forward. 4. Cheat, but cheat wisely. I hate when people say, “Today is my cheat day. They cheat for the entire day instead of cheating for one meal. You are entitled to treat yourself, but do not allow it to become 3 big unhealthy meals for the entire day – that is not good. 5. Enjoy your new lifestyle. Sometimes, we fail to realize just how amazing being healthy is. When you are used to eating unhealthy, you tend to continue with this pattern. If you love cooking, then cook new amazing meals. If you love dancing, then let dancing be your source of exercise.